It has been all over Facebook, Twitter and all kinds of social media lately: The picture of a sweet little boy greeting a golden retriever and laying with him like they’d known each other forever while his mother looks on in tears. 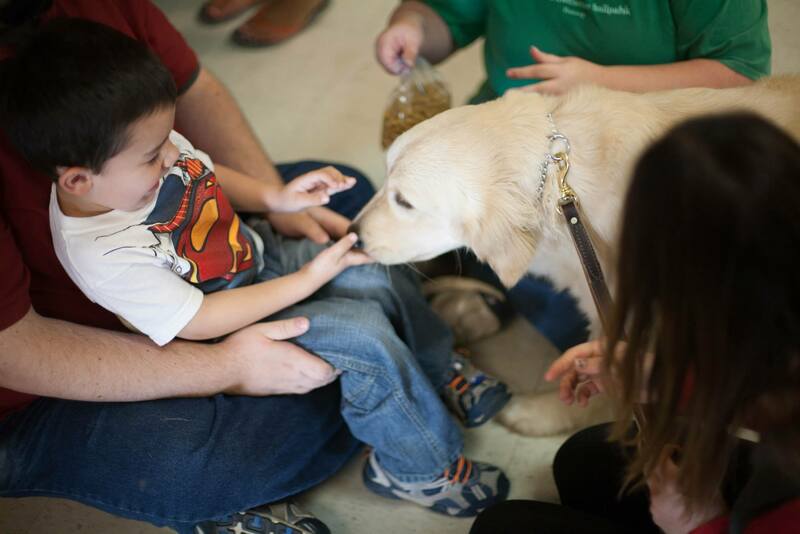 It’s the moment a little boy met his autism service dog. It’s a great moment, a moment worked for for a long time and hoped for and wished for. It is, I would hope, the start of many more moments like that. Every time I see it though, I flinch. The reason I flinch is likely not what you would expect, either. This was one moment in time. It is a moment in time that is beautiful for them, yet it is not representative of the majority of experiences. Let me tell you our story, and let me share with you what the journey can be like. My son was diagnosed with autism in August of 2012. He was just past 2 years old, gifted with a charming smile and sweet looks but lacking words or interest in communicating. He had his way of relating to the world and, heartbreakingly at the time, we had no idea how to bridge the gap between his mode of relating and our own. He was involved with the local Early Intervention program, had multiple therapies going pretty much immediately after diagnosis thanks to them and we threw the doors open wide in terms of finding what might work to open his world up further. Whatever it would take for him to be able to find himself, we were down for doing it even if it meant using flashlights to speak Morse Code. 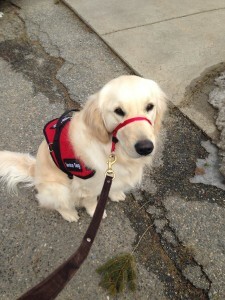 It was in early 2013 that I happened to start looking up service dogs. I’d seen something in passing about service dogs working with children but knew literally nothing about them. I searched, I read, I considered… then I did that all again and again. We settled on a program, did the application and got accepted. I began fundraising for his dog in April of 2013. We finished that fall and were scheduled to meet his dog in October of 2014. 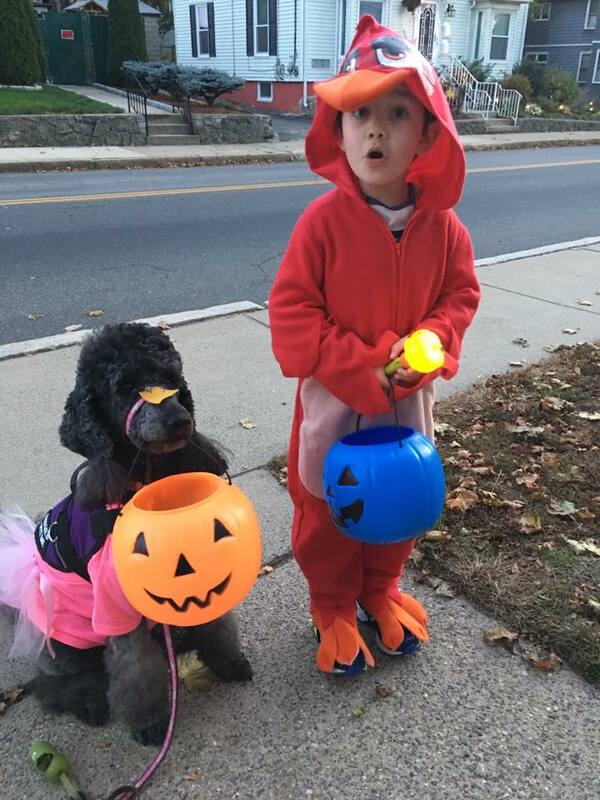 The moment the world saw in the picture of the boy and his new dog? We had that. Right down to the golden retriever. Right down to the boy turning beaming and comfortable. I didn’t cry, no, but I was blown away. We thought we had a Hallmark moment, the one everyone wants. This is life. Life does not work that way, sadly, no matter how badly we want it. Brooklyn, the beautiful girl to whom my son was matched, is a radiantly beautiful cream colored Golden Retriever with the sweetest, most tender gaze. She has a heart as big as the sea. She wanted to please so, so much. She doted on her boy, she attended well to me when I handled her, she knew her tasks. It was hard work though, especially when it became clear Brooklyn had struggles. Service dogs are not robots. They’re dogs. They have needs that require diligent looking after. You also engage in constant reinforcement and training to make sure needed skills stay sharp at all times since you do truly come to rely on them. This was amplified with Brooklyn due to anxieties and health issues. We did all we could, supporting her as much as we support our boy. We reached out to the people who trained her for help. We trusted them to support us, given they claimed they would support their clients through anything. It turned into a nightmare. My son’s dog was wrenched from us and sent to another family while we withstood being accused of the worst things. My son’s stability – something important to any child and even more so for an autistic one – was destroyed as was his trust. This dog had, despite her struggles, opened his world up. She’d given him language he’d previously not had, allowing him to start speaking more confidently at 4.5 years of age. She allowed him the peace of mind to sit through an eye appointment where we learned he was significantly far sighted. His best friend, his helper, his support… gone. It is an understatement to say we were devastated and wounded. No, this is not a typical story of what a family seeking these dogs goes through, however… Neither is the picture going viral right now. Thankfully, there’s a lot more to our story. November 2015 saw us reeling from the betrayal of Brooklyn’s placing agency. We could, foolishly, have waited and let them try again but it was clear they had no interest in doing anything in my son’s best interest. I looked local now, drawing on all the knowledge gleaned over the past two years of being engaged in this process. I knew what he needed, I knew how dire our situation was with him and I knew we could not risk having another golden since he immediately thought of Brooklyn and grew despondent when the dog did not act just like she did. What did I find? Poodles. American Poodles at Work (APAW) is a service dog organization placing poodles. They are located in Massachusetts about an hour from our home. I reached out to them so certain we’d be turned away given our first experience. The answer I received was warm and welcoming. We were invited, my son and I, to come meet some of their dogs and interview with them to see if we would be a good fit for their program. This is where I did actually cry. We met several dogs that day: Charlie, the elder statespoodle of the organization who has well-earned a blissful retirement after being their demo dog for years; Eager, one of their then most recent litter of puppies; Twinkle, a feisty mini who had a lot to say; and Blossom, lovebug mother to Eager and devoted deliverer of smiles. Blossom would not give up on engaging me or my son. She kept bringing us her toy and waiting for us to play with her. I didn’t know it then, but that’s her magic. She sees a need, she answers a need. We were accepted to the program. I was relieved. My son would have a helper, it would just be a long while until they might arrive we thought. It takes upwards of 2 years to train a service dog from birth to puppy, and unless an unmatched dog already in training was a perfect fit… we’d be waiting on that. March 6, 2016. Not long before this, I had joked with the program director of APAW that we needed a Blossom. Blossom, being a breeding mother, requires a home that can live without her for the time she is required to be at the agency to whelp and raise litters. She had no placement at that time. I had a little boy who was losing himself more and more every day. He was without his sparkle. He was combative at school and at home. He was hurting and so was I, since I could not heal his pain. Blossom came home on short visit that day. That fateful, amazing day. She cuddled him immediately and played with us all. She found out she loved to be on the couch, loved to help my son go to bed and just plain loved being the focus of people’s attention in our home. Within a couple of weeks, she was in our home full-time. Blossom is considered “in training” not because she has anything left to learn – her training is impeccable – but because I remain in training and we’re constantly working on our bond and working relationship. It’s a great relationship we’ve built, but like all things involving living creatures, it constantly evolves and adapts. We will hopefully graduate APAW’s team training by the end of this year or early next year, should schedules allow. But why did I write all this? Didn’t we have those picture perfect moments? Well, we did. But that’s not our story. Those moments are wonderful, but that’s not what this dog means to our family. There was no instant “this is perfection” moment with either dog. The moment I realized Blossom was my son’s perfect long-term match was not seen until well after it happened. You see, my son was hospitalized in May of 2016. He had such violent outbursts and was putting himself and others in danger with them. Everything that had occurred had spiraled painfully to this point. The outburst that landed him in the hospital was particularly explosive and frankly, even I was scared by it. Blossom was present. I thought for sure this spelled doom for them as a pair since she was still relatively new to us. I brought her back to APAW just until I could get my son safely settled and able to be around her again. A week later, she was back. She walked up to him like nothing had ever happened. Whole hearted, open-hearted love radiated from her along with the sheer joy of seeing her small, silly friend. He registered total shock at seeing her, too. “Blossom come back”, he said with awe to literally every single person we came across. He thought dogs left and never returned. Through his worst she did not waver. She only loved and forgave and returned. She accepted, adapted and continued. Every day I put in time training, grooming and working with Blossom. There are no days off. If she goes to school, looks like I am going back to elementary as well. This is the deal I signed up for the moment I signed a contract to fundraise back in 2013. This is the investment I am willing and able to make in my son’s well being, knowing this is a tool that works well for him. There are vet bills, grooming bills, food bills, toy and gear bills… Every last penny, every last hour and every last ounce of frustration or exhaustion is worth it. I hear him speak in full sentences now. I hear him tell me stories of his day. It’s his own unique manner of speaking, to be sure, but he’s telling me so much. He has rebounded and surged so far forward from where he was last year at this time that it blows me away. If you are considering a service dog for your child, I highly recommend reaching out to Canines for Disabled Kids. It’s a great place to get feedback on programs and what this all entails. Try to get as many independent views of agencies as possible. Find what works for your family and understand that those pictures viral stories portray are not every day life. They are snapshots that you hope persist for those in them, but there’s so, so, so much more behind the scenes – and so many other pairs that do not look anything like that on day 1. I am always happy to answer questions and help. A friend I made through APAW tossed around the phrase “In Poodle We Trust” as something we should put on t-shirts for a potential fundraiser. Those of us who live with APAW poodles, or wonderful poodles in general, learn that you come to trust the instinct and wit on these dogs pretty fast. Blossom first came home with us the first week of March. She visited for a long weekend, stole all our hearts, took diligent care of a sick and miserable J and then went back to APAW for a few days. The following weekend we attempted to bring home a sweet boy named Valor. He is charming, adorable, energetic… but his energy was a complete mismatch for J. They overwhelmed each other in all the wrong ways. Valor, who holds no grudge, went back to APAW and Blossom came home for what we hope to be forever. She fit. I can’t explain it. It’s like a million tiny missteps occurred at the will of the universe to bring her and our family together. An organization lied and deceived us. J’s heart was broken. Blossom had potential situations fall through. Everything just kept happening until one day, as a joke, I said to the founder of APAW that it was Blossom I wanted for J. Everything about her was exactly right and I prayed a puppy would be born that walked in her shadow. I didn’t have to wait. The original was right there, waiting and fate took over. She has read us all from day 1 when we met in the lobby of APAW’s former location. She saw broken hearts. She saw a reticent little boy and a troubled mom. Her, her cohort Charlie and her son Eager didn’t let us stay that way. They showed off what is so special about their breed and drew out laughter and joy. I am a sucker I’ll admit but I was won over, fully and completely. J soon was as well. Until times came when she wouldn’t play it. I thought I was ruining their bond when she’d refuse. This is Blossom after all, she lives for catching her tennis ball or her kong bone! She loves to run and play and chase, yet… she refused. Every time J would start, she’d come over to me and lay down, watching him like a hawk. I could not convince her to engage. J would inevitably get very upset and unless redirected it sometimes landed in a pretty intense meltdown. But other times, they’d play happily for hours. Hours! It did not make sense and I beat myself up terribly over it. I was failing them as partners. There was no bond. I ruined this somehow. Turns out, I couldn’t see what was actually going on. Blossom doesn’t refuse a preferred activity for giggles. There has to be something there, which I can see now. She saw that J’s energy was not in a healthy place. He was radiating something sharply negative and she was reading it and responding. I saw this behavior from her again last week, through the ER visits and episodes leading up to them. If J is in a good mental state, Blossom is relaxed. She is aware of where he is but she’ll pay attention to other stuff too: kids nearby, me, squirrels, passing leaves caught on the wind. If his mental state is poor, however, her attention will not be deterred from him. You could stand in front of her and she’d fight her way around you to see where he is. She is saying “something is wrong, I need to keep an eye on this”. This explains the way she greets him after school, sniffing him over a couple of times and getting her read on the afternoon ahead. This explains her behavior in our home, whether she’s playful or not playful. This all finally makes sense through the lens of hindsight and where we now stand in terms of understanding our sweet boy. It wasn’t that a bond was failing, it’s that they have made an incredible bond that is different from the one I thought he needed. I thought he just needed a friend that helped out. It turns out he needs a mix of a keeper, a friend, and a mom to look after him and support him right now. And here she is. We call her Blossom and in her we now trust as our extra eyes and nose. Blossom went back to APAW for a short vacation last week starting Wednesday morning. She enjoyed staying with her poodle friends and celebrating the first birthday of her sweet puppies, all of whom are working towards their own careers now. Yesterday, I went for training class thinking I might not be taking her home with me again just yet. The moment I was with her again though I knew that was a wrong choice. I need her, too. If I am going to get through this with my sanity intact, it will be with her by my side. She is home, now. I hope forever barring times she returns to APAW to bring more beautiful service puppies to be into the world. J is so happy she came home and so happy she’ll be visiting him regularly. The only thing better right now would be for him to be home. Soon, though. Soon. You never think on the day you give birth to your child that scary things might await. You’re just so amazed by them, so relieved they made it safely into this world and so grateful to have them in your arms. You snuggle them, you kiss them, you count their fingers and toes and marvel at the miracle of their existence. Years wear on but the wonder never fully fades. Your child grows, changes, begins to show you who they are in every way. They take you on this incredible journey that you could never have hoped to plan. There are massive highs and desperate lows, all of which tend to fade in the light of just enjoying the presence of the little life whose hand holds onto your own. Then things happen that no one might want to talk about. Things happen that the world prefers not to face. I wish the choice was in our hands, what we could and could not deal with, but to have that choice is not something we necessarily can be trusted with. The day J was diagnosed as autistic, it did not hurt. It was a confirmation of something that we’d been discussing among ourselves and his providers for a little while. There was no shock, no dismay and no sorrow. This was a door opening, allowing us to see what we would need to help J be everything he is destined to be. His neurology is different and requires different supports. It is our job to raise him in understanding his neurology and how to work with it. What more could a parent wish than for their child to be confident within their own skin? Something more is there, though. Something is in J’s wiring that might be beyond the autism. Something that the world doesn’t want to face. It doesn’t carry with it cute pictures of little children in puzzle-piece adorned clothing. It does not wear a month of rabid ‘awareness’ demands with brightly colored advertising splashed across billboards, televisions and print. It is something that is buried away thanks to generations upon generations deciding that we do not talk about mental health. Those generations failed my parents. They failed my brother. They will not fail J. Children as well as adults can struggle with mental illness. According to the National Alliance on Mental Health (NAMI), 20% of children ages 13-18 have some form of mental illness. One in FIVE. This is not even looking at younger children like J-Bear. Why aren’t we, as a nation, talking about this? Why are we avoiding this? Why is it met with gasps and discomfort when I mention that J is in inpatient care over needs related to this? If I told the world he had a physical illness, I would be encouraged to take him to the finest specialists and to spare no expense on his care. I mention it is likely mental illness co-morbid with autism and the silence grows deafening outside our small, amazing internet community and the small community we’ve drawn together as J has grown. We stand a chance to raise a new generation not with shame but with the understanding that their mental illness is valid. That they deserve as much care and consideration as any other person with an illness would receive. They are not to be mocked, derided or pushed aside because it makes someone else uncomfortable. We’ve lost humanity in terms of how we deal with the mentally ill. Why the hell aren’t we fighting to get it back? Right now, we are in the midst of Mental Health Month. Will you stand beside J-Bear and all of the rest of us who struggle and help end the stigma? Please check out NAMI’s site which I linked under Mental Health Month above. We will get him through this. He will come home ever so soon able to enjoy his life rather than be in this constant cycle of scary impulses and overwhelming emotion. He will be able to enjoy his time with his beautiful Blossom girl and be able to have fun at school again. I can’t wait. Let’s make this world better for him and his peers while we’re at it. The comparisons are inevitable. Every day we see things that either sharply contrast or deeply coincide with our previous experience. It cannot be helped, we talk about Brooklyn even as we’re praising Blossom. That lovely golden girl is here every day even though she is not. This will perhaps be the last time I talk about this in any detail. Brooklyn was stolen from us. There’s nothing I can do about that now. In fact, because 4 Paws for Ability chose to act in a deceptive manner and passed her on likely without any of her previous history to a new family, I would not do anything even if I could. I would support the new family she is with in all the ways we were not supported. I would fight to help them make this work, not because we have Blossom and APAW but because I know the deep horrible pain ripping her away would cause. It never should have been done to my child and I will never allow it to be done to another so long as I can help it. Brooklyn is gorgeous, gentle, sweet…. The right heart with the wrong upbringing. The puppy years are so crucial for a service dog. They have to be exposed to so much during critical periods in order to stand a chance at a successful working life. Brooklyn’s upbringing was limited. She was not out in the world for most of it, she was in prison. Do I blame the prisoners? Not at all, ever. They gave her all they could and clearly put their heart and souls into her training. She had a lot of beautiful skills and qualities, she just could not overcome her anxiety and her fear. I wish I had known in October 2014 all that I have learned in the time since then. I wish I had learned all that Blossom is now teaching me. It maybe could have changed Brooklyn’s life in a positive manner… but that cannot be changed now. And Blossom is here, mothering us all and healing such a deep wound as best she can. It’s not perfect. I won’t lie and pretend everything is sunshine and rainbows. We have plenty to work on, which is the nature of new relationships. There is a wonderful trust though between she and myself. She is very in tune with me which makes working on everything else easier. She catches nuances that we knew existed thanks to Brooklyn and acts upon them. She loves the social aspect that will be a part of her job as a social bridge for J. Kids circle around her and her tail just wags and wags. She has a tremendous foundation of training on which we can build. Now it will be a period of fine tuning her training to see if she is a perfect forever for our family. I’d be lying if I said I did not want her to be the one. Every day her sweet face and charming nature win me over more and more. 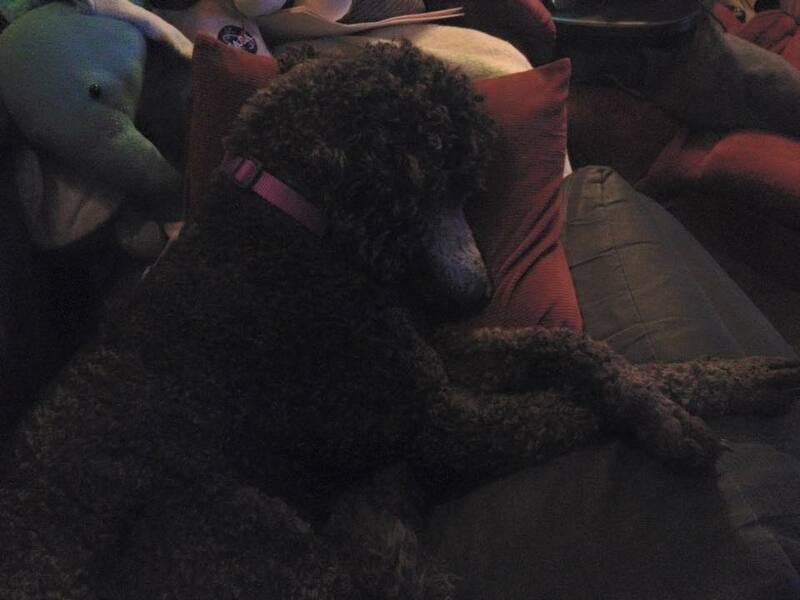 She’s pretty much the embodiment of all I could have wished for in a 45lbs standard poodle body. I never saw a smaller dog as his best friend and yet, it’s just fantastic. She races around the apartment with him. She snuggles him to sleep. She checks on him when he’s out of school and before she lets herself sleep for the night. There will be challenges. Her obligation to APAW is very important and precious. You cannot run an organization like APAW and not take advantage of your every asset. Blossom is entirely that. It’d be shameful to not forward her genes on to the next generation of service dogs as well as her general way of being. She’ll raise her pups in her own shadow, something that is invaluable. It will be hard when she’s limited by the demands of this obligation but it is not forever. The interruptions to her service will, long-term, seem ever so brief and will only happen a very few times. J is a unique boy who had a unique need, a whole left wide open in his heart and world and a family struggling to help him. Blossom is a special dog, filled with so much skill and love but a noble job to birth and raise the next generation of service dogs. It’s not a combination that could work for many but we are hopeful it will work for them. If not, then at least for a while Blossom has had a home where she was loved and cherished while she awaited her forever and J had a tremendous friend during his own long wait. It’s truly a win-win for all involved. We miss Brooklyn and love her. We just happen to love Blossom too, so very much. Onwards and upwards. Three years, quite nearly to the day. That’s how long I have been pursuing a service dog for J. He had only recently been diagnosed when I started and the notion was one that was come up with on a whim. I knew, of course, that there’s a camaraderie that animals can offer that reaches beyond that which fellow humans are sometimes capable of. It is the most clear with people who struggle to communicate traditionally and with people who struggle to fit into what is considered “mainstream” society. This bond with animals had been so very precious to me as a child, sometimes all that got me through. The moment I saw that actual service dogs were possible for children with autism I was sold on the idea. The involvement with 4 Paws for Ability, while educational, was ultimately a major and massive mistake. I was ignorant going in and I regret that now. The information I needed to know was not easily and readily accessible to me. Maybe, prior to 2013, it was a different organization but currently it is not what I was led to believe. Yet still I fought. Still I believed in Brooklyn. I still, right now, believe in Brooklyn. Brooklyn is an amazing girl. She cannot help that she was failed in her upbringing. She deserved better, as did J. If you follow our Facebook page you’ve seen me gushing all weekend. How could I not? Blossom has been the finest guest and a fine ambassador for her breed. She’s been a fantastic friend to J and a wonderful breath of fresh air to our household. That sore, aching hole we were left with by the actions of another was eased tenderly for a while. It’s an important step towards our healing, like the first stitch placed in a deep wound. Tonight something happened that in the immediate occurrence I believed was going to slam the door shut on a poodle being a great choice of dog. I was so scared we’d put Blossom off to ever wanting to spend time with us ever again; that we would be an unsuitable place for her to spend time. You see, J had a meltdown. I do not often talk about his meltdowns because it’s a hard thing for him to endure. I don’t want to splash those details publicly. It’s disrespectful to him, so please forgive a lack of details in this blog. Suffice to say it was chaotic, extremely loud and extremely overwhelming if you’ve never witnessed such a thing. Initially, Blossom was unsure. She looked to the adults for guidance and took our cues. Where we could we reassured her but honestly I got so wrapped into caring for J it was hard to give her non-stop coddling as I would have had to for Brooklyn through these initial episodes. Blossom didn’t need it. She was observing, taking reassurance when it was offered and intelligently disobeying commands. I sent her out of the room when J was at his most overwhelmed. She moved away but refused to leave. If there was an opportunity, she pushed in to help try to calm J. She licked his feet, knowing he responds warmly to her kisses. She nuzzled his hands. She cuddled against him. She backed off when he wasn’t receptive and rather than be rebuffed, she tried again when it seemed a better idea. When he finally started to fall asleep she curled at his feet and waited. I tried to send her away again. She politely refused and laid her head by him, occasionally sniffing him and checking on him. I’m going to start crying again typing this. 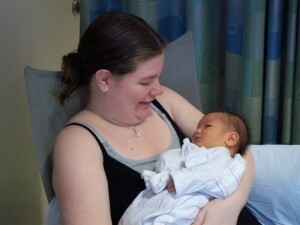 Once all was calm and I could leave J to sleep I beckoned her over and just hugged her. I cried into her soft, curly coat. I told her thank you a hundred times. The goal I had in mind in 2013 seemed increasingly like a figment and I did not know how much of my initial dream I had thought impossible until suddenly I saw it play out. This was from a dog who is magnificently trained with many tasks yet not trained for a child with autism specifically, too. If she can do it I have every reason to hope that someday soon there will be a dog from her line in our home full time able to do that and more. The sun shone our way, finally. And I smiled. Thank you Blossom, Smile Sunshine My Way. We needed you and you answered the call. Any further time we have with you is a bonus after this gift. These past two weeks have had a theme, I think. That theme is building. The meeting with J’s new doc started the building process of a new path to help J garner the most appropriate tools to assist him for where he is at today rather than where he was at when he was three years old. It is going to be a process, likely a long one at that, but it is laid out and we all know what it is we want and how to focus on getting it. Everyone involved already and who will be involved in future will be focused on J’s best interests first and foremost. There will be no veering from him being the center of his care rather than an arbitrary rule book decided by others who have never met him. He will be respected, loved and guided so he can grow and thrive. It’s a situation that fills me with hope, anxiety, relief and optimism all at once: Anxiety over new things yet to begin; hope, relief and optimism that we have opportunities to focus on what is most important to us. That meeting rolled nicely into a long, open conversation with the founder of APAW on Monday. She is remarkably easy to talk to and we discussed how things should progress in terms of J’s future partner. The open honesty with which she and her organization conduct their business should not surprise me by now and yet it does. If I ask a question, I am not given a run around. I am given a clear and honest answer. It does not matter if that answer is one I like or do not like, it is the truth and it is what it is for good reasons they are always open to share. When we began the efforts towards a service dog back in 2013 there was never a feeling of “wow, these people actually care about my child”. We were just another client of many and shuffled through like we were checking out at the grocery store. We filled out forms, we did as we were told, we shuffled along ignorant that things did not have to be this way. There were only a few moments during training where it seemed like J mattered to anyone but us, despite his worshipful views of some of them. The on the ground training staff… Well, I can’t blame them. When you’re moving that many dogs, it’s hard to get to know every client deeply. That’s not on them. They don’t run the show. Their big hearts can only do so much at once. The difference between that and now blows me away. The focus of our conversation was dogs, of course, but also J-Bear. It was as meaningful to her as it is to me making sure that what is decided upon in terms of his future partner meets his needs. His healthy understanding of what is going on is not an added bonus now, it is an essential part of the process. His hurt does not mean nothing to them. His concrete manner of learning things is not disregarded. I didn’t have to bring some of my concerns up, they were anticipated and answered before I could because she, the founder, saw them. 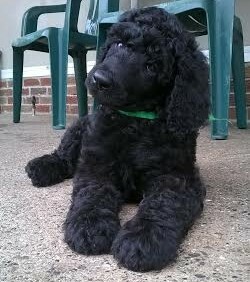 The first step will be to have some poodle weekenders come stay with us at our home. These are poodles on retreat. I have already been teaching J that sometimes, poodles need a break from poodle house and they want to come vacation with us. They hang out with us, he can play with them but they are not forever dogs. They visit, but they don’t get to do things like cuddle in bed with him or go to school necessarily. They come, we have fun for a few days and then they go back to their house. This is a process we hope to start this weekend and see how he manages. From here, we can work towards all future steps which will be determined based on how he manages over these visits. Right now, like any five-year-old, he’s pretty excited about a poodle visit! He loves poodle house (his name for APAW) and it will be fun for him to have one to one time with a poodle. If this works and J adapts to this, fantastic! If this does not work, we have learned that too and we can move on with future planning from there. Do I think it will work? I think it has a strong chance. He has a beginning grasp on the concept of what we’re doing thanks to him being a frequent guest at Grandma and Grandpa’s house. The whole process is being presented to him very differently than how Brookie was, too. Everything related to the dog is out in the center of our home now. He will be in the loop on when to expect there to be a dog, when to not expect there to be a dog and most importantly whether or not to expect a dog’s (any dog, not necessarily a specific dog) return. We have firm answers now that he can rely on. It’s miles above what we went through last year. Am I ready for it to fail? I prepare for the worst while planning for the best. If this goes poorly after a couple of trials, since one is never quite enough to get a full picture with J, we’ll not push him further and we’ll work on a new plan. We have the luxury of not needing to hurry. He needs a partner but if the right one isn’t ready yet, we’re able to sustain him until that day. The right one is always worth waiting for and always worth working for. We are building towards a bright future and are happy to be laying foundations with care alongside tremendous people. Things are looking bright! 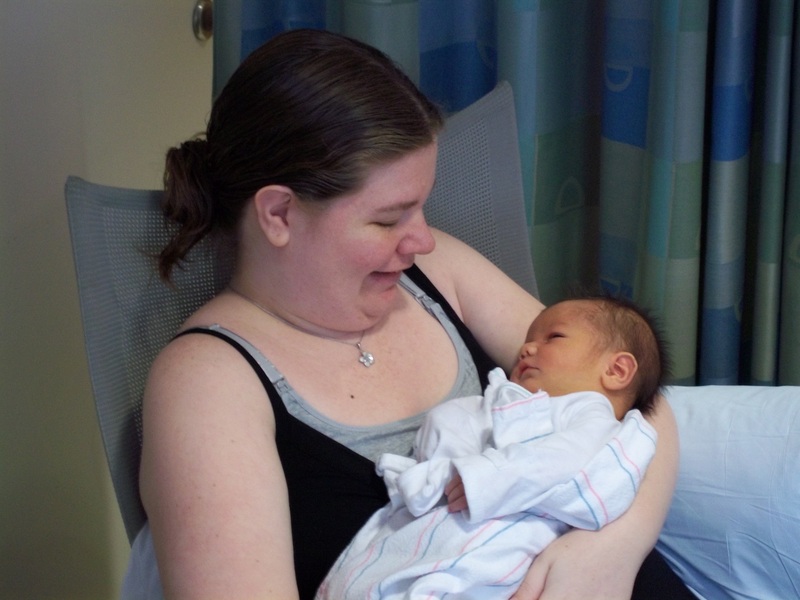 Friday we met with a new neurodevelopmental pediatrician for J-Bear. This is the doctor that follows his autism and his development rather than treats his physical health. She is on his team to keep him growing in the best way he is able cognitively, emotionally and mentally. It was a great visit and we covered a lot of ground about the inner workings of a J. He fell in love with her welcoming, fantastic office. This doctor knows her typical patients, let me tell you. The office was quiet, the colors were peaceful but not glaring and the lighting perfectly right. Large Yogibo beanbags peppered each of the rooms and there were plenty of toys for hands big and small to keep calm with. J was in heaven. The more we all talked as J played and engaged on his terms, the more we realized some things have been long-term issues without resolution. The largest of these issues is sleep. J does not sleep well on his own. He cannot even sleep by himself, for starters. He has to have another human beside him to help him allow his body to go to sleep. He does not sleep through the night with ease and even when he is sleeping he moves constantly. It’s like he runs miles in his sleep, I swear. This leads to exhaustion and a shortened fuse every single day for this poor kid. We tried melatonin and for our trouble got night terrors. We tried weighted blankets, which give marginal success until he kicks them off as he overheats easily. We tried a dog and though she could help about half the time, he could get overstimulated by her presence though she sure did try. We’ve changed lighting, we’ve changed routines, we’ve changed everything we could think of… Still, sleep is completely elusive for this poor kid*. There was much discussion and we came to the conclusion that medication is in J’s best interest. People do not like to consider medication for anything but the strictly physical. I remember in August of 2011 being at a point where I just actually wanted my life to end. I was in so much mental pain and in such a deep state of being unable to escape the symptoms of what turned out to be complex PTSD that I actually thought ending my life would be better for all sides involved, even my then one year old son. Disgusting and scary, right? Medication was the start to saving my life and yet, there are those who would mock medication for mental illness. There are those in my life who did use my turning to medication as a weapon. There are people who will judge harshly over this choice too I am sure. If J had an ailment that disrupted some physical process like insulin production, the ability of his blood to clot or not clot, etc., no one would bat a lash at him taking medication to keep his body healthy and able to function. That is what we were hoping for him now. The body cannot function without reasonable amounts of sleep, good sleep, and we’re working hard to help him get that so he can feel better in his own skin. The pros and cons were weighed. The pros heavily won the day. The dose is quite, quite tiny. The doctor jokingly said he pretty much just needs to stand near the bottle and inhale, the dose is so small. She’s not far off on that description! We’re starting small and seeing how it evens out over time in his system and if this is enough. It’s been but two nights and things have been different in moderate steps. He sleeps better, but still not through the night. He is calmer during the day, but that could either be from what sleep he gets or from feeling mellowed by the medication as his body adjusts to it. It’s been nice to see him being more able to work through struggles the past couple of days. I am hopeful that this is a sign of things to come. Yesterday, he helped me do a few things for my mother. He made his pop-pop laugh and his nonie smile. He swept their floor, showed them how to use a swiffer duster and generally was charming. This was something that was much harder but a couple of days before. Now, medication is not our only answer for J. Ever. 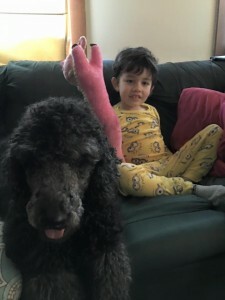 We are adding in some therapy that hopefully will fall in line with therapy he had great success with as an under 3-year-old and of course in due time his service dog will arrive. He’s not a boy for whom one single tool will aid all situations. He will always need to keep that toolbox full and it’s my job to make sure that it is just that, full and at the ready. *= So funny story: if you want to see J sleep like a total dream, like he’s never had a single issue with sleep in his life, put him on a cruise ship in rough waters. The sensory stimulation alone sets his entire body at such peace and rest. It’s not something one can replicate on land easily but hey, maybe this means he’s meant for a life on the high seas! I am really good at these posts that have a lot of random bits but not enough of each bit for a real meaty entry. Buckle up and hang on for the ride! J has been fighting within himself for a couple of weeks now. It is hard for me to explain what is going on. People in general, no matter how they are wired, can often encounter this rift between what they are feeling and their ability to express said feeling. It seems right now that for J, that rift is more of a large, deep and tumultuous gulf. It is understandably upsetting and frustrating to feel things that you want to express and let out but you do not know how to do so. This often leads to outbursts, to acting out, to just him not being himself. Frankly I cannot blame him. I’d be equally inconsolable if I felt lost in my own skin. I just don’t know how to reach him in these moments. I sit, patiently waiting. I set boundaries and make my expectations as clear as I can. I get frustrated, too. I get upset. I’ve broken down and cried once with him in my arms. It’s not pretty, it’s not perfect, it’s not fun. A lot seems to circle back to grief. Loss is becoming real to him. J’s way is to slowly come to a full realization of an abstract, difficult concept. He’s always observing, thinking and putting pieces together but those abstract emotional things are plain hard for a concrete, linear thinker. He’s realizing that there can be massive upheaval. He is realizing that his beloved girl was forever taken from him. He cries for her regularly and grows possessive of his precious stuffies. No matter how long you saw this coming it still shocks the system and weighs down the heart. We have light now, though. We will get through this. Who knew light could arrive on four prancing feet and covered in the softest, curliest fur? J and I volunteered at APAW last week and for the first time in months, we both were light and free. J was so proud to have purpose. I hold back tears typing this because I had not seen that centered boy since June. He listened well to Jillian, APAW’s caring leader, and greeted the volunteers and their dogs amiably as well as some clients. 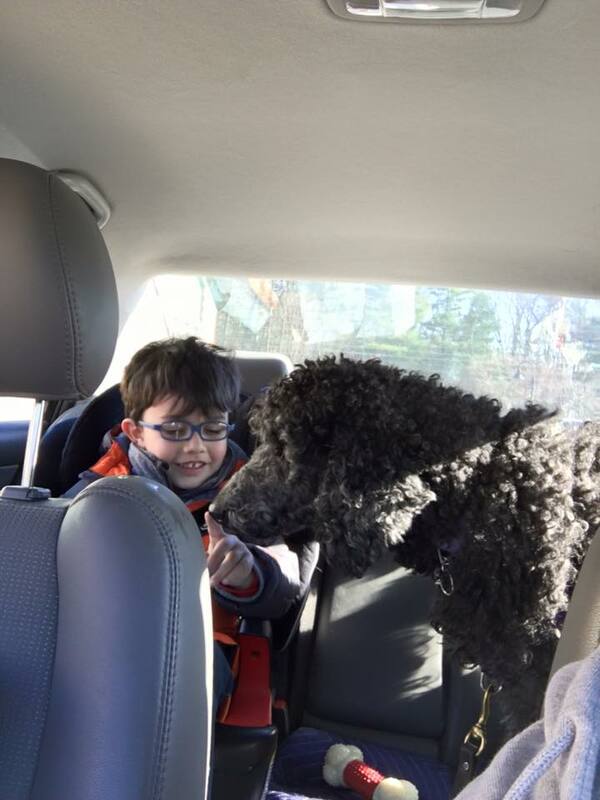 He beamed over kisses doled out by sweet Empathy, a poodle in training, and chatted about the different dogs the whole drive home. The class made it easy to realize that no matter how long our wait for his perfect partner is, it will be worth it. We are with people who care for him and his best interests now. What his needs are matter first and foremost when it comes to making a great match for him. There can be no deadline set for this. An arbitrary date will not produce perfection, it will merely limit prospects and possibilities. Would we rather a partner sooner over later? Of course we would. I would be lying to say bringing home a puppy tomorrow wouldn’t put me over the moon… But I am realistic. We engaged APAW because they make it their business to be subject matter experts in what they do. They have welcomed us into their fold and let us help in any way we are able, so the love we have ached over carrying since Brookie was snatched away will not go to naught. It will be shared with all these lovely poodles we meet and we can happily watch them on their journeys. Do I wonder sometimes if a pup I meet will be J’s one day? I’d be lying to say I didn’t, but it is easier to immediately think “wow, they are sure going to make someone so happy”… Because they are, no matter what their role. Someday, it’ll be J’s turn and we’ll be okay until that day comes. Puppy kisses help the time pass a little faster, though. I cannot complain about that! Those of you who have experienced life with IEPs for your children or as an educator know that every 3 years, re-evaluation must occur. J is in the midst of that right now and let me tell you, I am nervous. 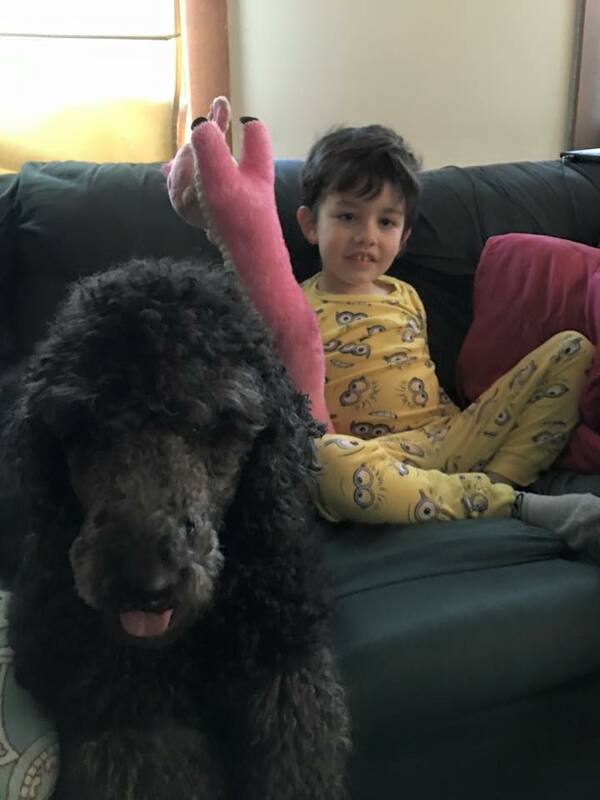 It came as a great relief to learn that his beloved preschool teacher is doing much of the evaluating for him, so he is agreeable and trusts her. I know how much J has grown and how much he’s gained. He is so smart and quick, it’s just always nerve-wracking to see what people put down on paper to attempt and quantify your child. It’s not hard to see where his weaknesses are but here’s hoping that his strengths are seen and celebrated, too. It’s been a year, as many of you know. We started the year so positive. Even when we were under 5 feet of snow with drifts well over our heads, everything was okay. J-Bear was healthy. Brookie had arrived. Everything was going to be great now, right? Then the accidents kept happening, in public of all places. The warning bells really began to ring when they happened at home. Something was just wrong. She was sick, and then she got even more sick. We loved her through it. Even J doted upon her, for she was as part of us all as he is. The accidents continued. Accidents and service dogs don’t mix. We knew she was an anxious girl but we just couldn’t figure out the crux of this issue. And I stupidly trusted the wrong people. Brookie went back to Ohio. I never should have brought her, but I did. From there, I was bullied and lied to repeatedly, backed into a corner by the founder of 4 Paws constantly and disallowed contact with any other. When I did reach out to the head trainer, I discovered things were not as they were depicted. 3 days later she was taken away. 3 days later, we were accused of abuse… but put into the July 2016 class. Folks, the tale you’re being told about our experience with 4 Paws for Ability is a sham. We were in a future class. I asked, in November, to be removed from the class and have funds sent to our new agency to secure a dog there for J. If we’re such terribly abusive people, why on earth would they have placed us in a class or given our funds to another agency to place another animal in our home? Why would all of Brookie’s vet reports note a dog in wonderful condition who was extremely sweet and loving? Why would none of our vet care (her regular vet and the hospital she was cared for by) be contacted about such allegations? Why would no local to us who actually spent time with us regularly be reached out to? Instead, in October 2015, Brookie was placed with another family. This family lives in a foreign country and I cannot state this enough: They are absolutely innocent in everything going on here. They are likely completely ignorant of what has gone on and of this dog’s full history. My heart hurts for them. I fear them getting hurt as we were. I do not want this poor dog disrupted anew, nor do I want to see their child ache as mine does. They are likely good, kind people who were out to do for their child what we did for ours: give them an amazing resource and a bridge to a world frequently inaccessible to them. I want success for them. I want joy, peace and calm for them. I want them to know how loved she was, and for them to have every possible tool to make this work. This is why I will never publicly identify anything about them. I want them protected, not harmed or bullied like we have been. That’s not coming from 4 Paws for Ability, who handled this situation appallingly. This is an organization that has the pieces within it to be tremendous yet without solid, positive, committed and transparent leadership will do nothing but flounder as it is right now. Their clients deserve well trained, ready to work dogs that go home prepared for their new lives… the way things used to be many many months ago there. The trainers have the skills, they just need the ability and resources with which to exercise these skills without upper level greed and blindness disrupting the process. Also, if your big thing is to brag that you only have 80 foster homes for 400 dogs, as their director has done… That’s something you need to clearly reevaluate. Not a bragging point. 2016 is the year I do not get bullied. It is the year we find collaboration, healing and a tremendous opportunity to learn. I will get to take part in the raising of J’s new dog from the very start I hope and for that I am overwhelmingly excited. Learning is something I love, and learning something that will help my child for many years to come is a gift for which I can never repay this group enough. I am excited to also be able to give back to them and help them further their mission. They are good people, kind-hearted and dedicated. It will be nice to just spend time with them and the dogs of the program… Nice as well as healing. 2015, you destroyed me and my family in a lot of ways. You devastated my mental health… but I will fight back. Worse than you has not killed me yet though it has tried. I have lost a lot of people who lied and called themselves friends but I have gained so very much more. 2016 will be good. I can’t wait to share that with you all. Thank you again, for all the love and support you offer. We could not do this without you. There are a few options that were made available to us when we met with APAW as to how we would proceed in terms of a service dog for J-Bear. The options are to either wait for a 1.5-2 year old dog, fully trained and finished; bring home a dog most of the way through their training but much younger and work with them through their finishing training (6 months to 1 year of age) or to bring a puppy home and be their puppy raiser/socializer. This is a lot to take in and consider given the amount of work that would go in to bringing home a very young dog or a puppy, plus we have to weigh how dogs create bonds and how to best plan for the best bond between J and his new partner. That said, we pretty much ruled out waiting for a 1.5-2 year old dog. 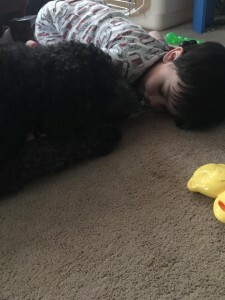 It is not that a dog at this age and stage of complete training could not possibly bond with J. There’s a lot of amazing dogs out there that could roll easily with the slings and arrows of a kid with autism but it would potentially not come easily to them. J’s weird would not come with easy fluency, it would be their second language that possibly never quite got perfected. This isn’t the best route to a strong relationship. The option we are hoping for is to bring home a puppy and become the puppy raiser for his dog. It seems mildly insane since, well, it’s not like a day in life with J is always simple and straightforward yet it offers such an amazing opportunity. It is a great learning opportunity, a great chance to let J be deeply involved with his dog’s future and the highest probability that he and his pup will speak each other’s language with natural ease. There are a ton of questions people generally have about what this would entail. I asked for some of your questions on Facebook earlier so here’s some answers. Remember, I am a student in all of this rather than a scholar. I am learning both from asking people who are pretty expert in puppy raising as well as reading pretty much everything I can get my hands on. If you’re a puppy raiser or trainer and have anything to add, please definitely reach out! Can you look at a litter of puppies and pick out the ones that could be good service dogs? Or is it less about temperament and more about training? I could not, for love or money, look at a litter and pick out which dogs might be good for service work and which ones might not. All I see are cute, wriggly puppies! However, service dog organizations that breed their own dogs work on this even before a puppy is a glimmer in their mama’s eye. The dogs are bred for temperament, good health and other desirable traits for the service tasks the organization predominantly trains for. Their heritage is carefully studied, their genetics vetted and the overall health of each parent’s line taken into great consideration. Once the litter is born, the caretakers and/or trainers are deeply involved with them from the start. They spend the time getting to know each puppy and their development and over years of working in the field have honed the skill of identifying the strengths of each pup and the likelihood of them being good for service or other tasks. When you consider a fully trained service dog, it really is as much about training as temperament but as a puppy, it is temperament and trainability that matter most. How is being a service dog puppy raiser/foster different that a family that adds a puppy to their family? When you start, a lot of it is kind of the same! You must housetrain the dog as well as kennel train them, teach them good manners and begin them on basic commands. You should socialize them as soon as their vaccinations allow it and put forth the effort to teach them to be a good canine citizen in your little corner of the world. You should have them meet many different people, hear many different sounds and teach them that new and uncertain situations are not necessarily scary. It helps them become confident and calm as they grow up rather than perhaps skittish or furtive. The two paths diverge when your puppy starts that socialization phase. When a puppy is being raised to be any kind of service dog, the socialization process is stepped up. The puppy goes everywhere humanly possible with their handler. It is on the handler to make sure they are safely exposed to a wide, wide variety of people, places and things that most of us might never think of or that we take for granted passing by in our day-to-day life. J’s puppy, for example, will need to learn early on to be calm and comfortable with the chaos of a playground. They will need to be comfortable visiting doctors offices and hospitals, museums, stadiums, amusement parks, airports and subways. The earlier that these things become normalizes for the puppy, the better. It’s very easy to write about making a puppy comfortable with all of these experiences, it is a very different experience to actually do it. It involves a lot of time, patience and repetition as well as carefully reading the dog to make sure you are not pushing them beyond their comfort zone too far, too fast. Thankfully, we have already had a fearful dog. If you keep your eyes open, recognizing their limits is easy enough to do and gently coaxing them through fears until confidence can be established is rewarding. There’s also the question of basics in terms of training. You teach manners and expectations along with basic commands like sit, stay, heel and come. You’re teaching the pup how to behave while in restaurants, how to stay out from underfoot in stores and how not to be nosy towards strangers while you’re waiting in line or caught in a crowd. A lot of this is reinforced more in advanced training but the basics start early on for the pups to make sure it is muscle memory for them. I know there’s a lot of details I am missing. It’s a thing that I do. If there are more questions that I can answer (or get the answers to!) or if there are further questions based on what’s here, I am always happy to help. There’s going to be a lot of learning in the coming year and I am looking forward to sharing that with you all. Oh, and posts with 100% more puppy pictures. © Nicole Ryan and J-Bear and Me, 2013-2016 Unauthorized use and/or duplication of this material without express and written permission from this blog’s author and/or owner is strictly prohibited. Excerpts and links may be used, provided that full and clear credit is given to Nicole Ryan and J-Bear and Me with appropriate and specific direction to the original content. Do not repost images from within without express written permission.